POLITICAL TIDBITS: Why was Nov. 24, 2011 SC unanimous decision to redistribute Luisita lands to farmers never implemented---thus encouraging KMP farmers to just take over 500 hectares? Could it be that SC justices and DAR officials became fearful of terrible fate of impeached CJ Renato Corona, after he ignored P-Noy’s request to steer clear of Luisita? ICC Chief Prosecutor Fatou Bensouda finally gets jurisdiction over PRRD, after complaint filed by lawyer Jude Sabio for Matobato. Why was Nov. 24, 2011 SC unanimous decision to redistribute Luisita lands to farmers never implemented---thus encouraging KMP farmers to just take over 500 hectares? Could it be that SC justices and DAR officials became fearful of terrible fate of impeached CJ Renato Corona, after he ignored P-Noy’s request to steer clear of Luisita? ICC Chief Prosecutor Fatou Bensouda finally gets jurisdiction over PRRD, after complaint filed by lawyer Jude Sabio for Matobato. Lawlessness has taken over the nearly 6,000 hectare Hacienda Luisita, after some members of Kilusang Magbubukid ng Pilipinas occupied 500 hectares of its land. Such unlawful occupation of property by KMP members was preceded just two weeks ago by the move of some 5,000 followers of the Kadamay group to simply take over newly-built housing in Pandi, Bulacan, that was originally intended for soldiers. President Duterte subsequently allowed the Kadamay folks to just occupy those quarters, but it's easy to see that this does not augur well for the rule of law. If people just arbitrarily take over property, even though its status is disputable, we could actually be encouraging more lawlessness in this country. To be sure, this predilection of some parties to take the law in their hands may be brought about by their acute need for what they seized---in the case of the Luisita peasants, land, and in the Kadamay take-over, the crying need for shelter by peasant groups. But these acts of lawlessness could also have been encouraged by the Duterte administration’s seeming support for moves that disregard the rule of law. For instance, the killings of supposed drug addicts, now said to number over 7,000, are being attributed to the encouragement, albeit tacit, by the Duterte administration of the use of extreme force by police in past months. This tendency to resort to the use of force by elements private or public is most worrisome, for like the proverbial genie it may be tough to force it back into the bottle. In the last analysis, upholding the rule of law is far better than the slide to lawlessness we have lately seen in various aspects of Philippine life. In the case of the KMP farmers who took over a portion of Luisita, their action is reprehensible because it's arbitrary, using sheer force. But very much to blame here too was the justice system. The distribution of the controversial hacienda to its peasant farmers was already provided for very clearly in the decisive 14-0 ruling of the Supreme Court to the Department of Agrarian Reform on November 24, 2011---to redistribute some 4,500 hectares of Luisita lands to its more than 6,200 farm workers. Why was it not carried out to the hilt by DAR? The answer may lie in subsequent events. Sometime in late 2012 I hosted a meeting in my home for friends who were working on a specific advocacy. Among those present were former CJ Renato Corona and his wife, Tina Basa Corona. 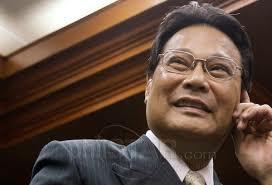 The previous year CJ Corona was impeached and ousted from the SC in the most humiliating manner imaginable, with all the forces of the Aquino administration brought to bear upon him. He was convicted for a faulty SALN, when then Civil Service Commission Chair Francisco Duque had written the Senate trial court to inform it that a faulty SALN CAN BE REMEDIED AND IS THEREFORE NOT CRIMINALLY LIABLE. Conviction votes of the majority of senators, however, were also bought at P50 million each---the first and only time the DAP reared its ugly head. At that meeting at my residence, it occurred to me to chat briefly with CJ Corona about his ouster and conviction. We sat down in my living room, away from the group meeting in the lanai, and I asked CJ a pointed question: why were you hounded that way by the Noynoy administration? He replied without hesitation: Hacienda Luisita. True enough, when the SC vote came out on Nov. 24, 2011 on the fate of Luisita, it was a stunning 14-0 for redistribution of the lands. Even P-Noy's appointee, who eventually assumed the post of Chief Justice, Ma.Lourdes Sereno, voted with the entire court. By mid-January 2012, Corona was impeached by the Aquino-controlled House of Representatives and subjected to the most humiliating trial by the Senate impeachment court in the first half of 2012. What Corona went through could be the reason why the SC 14-0 decision to re-distribute the Hacienda lands was never fully implemented by DAR. The SC could have exercised more persuasive powers to push its ruling, but nothing was heard from any of the justices. Then too, officials of DAR must have been equally traumatized by the cruelty of the impeachment process CJ Corona underwent. Sadly the six-years under P-Noy might have prompted the KMP peasant farmers to now forcibly take over some 500 hectares of Luisita already owned by RCBC. A lawyer for Davao Death Squad (DDS) hit man Edgar Matobato, Jude Josue Sabio, has filed a 77-page complaint before the International Criminal Court (ICC) in The Hague, Netherlands, for alleged crimes against humanity vs. President Duterte and eleven other government officials. Atty. Sabio’s complaint zeroes in on the killings of criminal suspects allegedly undertaken during the incumbency of then Davao Mayor Duterte, as well as the thousands of victims slain in what has come to be termed “extra-judicial killings” in the seven or eight months of President Duterte’s administration. Sabio went straight to the heart of the matter: “To end this impunity, the ICC is being resorted to as a court of last resort, given the gravity of the current human rights disaster in the Philippines.” This suit before the ICC may be termed the logical build-up to what has been raging in the world press about the anti-drug war of Mr. Duterte. Sabio’s criminal suit before the ICC was anchored mainly on the testimony of his client, Edgar Matobato, who had served with Mayor Duterte. Presidential spokesman Ernesto Abella quickly dismissed Sabio’s criminal suit vs. PRRD as meant “to create negative news in the midst of the Philippine ASEAN debut.” Indeed the timing of the criminal suit in the ICC is readily suspect: two days from now the Philippines, as chair of the 50-year old ASEAN nations’ bloc, will host its 30th Summit of Leaders. The Palace may dismiss the filing of the criminal suit vs. PRRD as merely intending to embarrass the administration, but there is no question that it would hurt where it’s meant to hurt: in the world community, as negative headlines vs. the Duterte administration have piled up in the world press. It also matters that the ICC Chief Prosecutor is Fatou Bensouda, who has tried in past months on her own---unsuccessfully---to summon Mr. Duterte to answer some queries on his performance on human rights, now gets jurisdiction over him because of this criminal suit. SCCJ Renato Corona was clearly a victim of persecution. The exploited farmers of the shameful Hacienda were also victims of Noynoy's unjust and mediocre administration. SO THE PEOPLE MAY KNOW and never again to manipulated elections and necro-politics!